We design and manufacture equipment for use in hazardous areas such as refineries, offshore installations and other areas where flammable gases or dust exist. Our engineering team has over 25 years of experience in design, verification and certification of equipment used in hazardous areas. All designs are submitted to a SIRA notifying body for design validation to ensure compliance to the ATEX requirements and to obtain final certification. Equipment for zones 0, 1 & 2 gas groups IIA, IIB & IIC to EN60079-0:2012. Equipment for zones 20, 21 & 22 dust groups IIA, IIB &IIC to EN61241-1:2004. 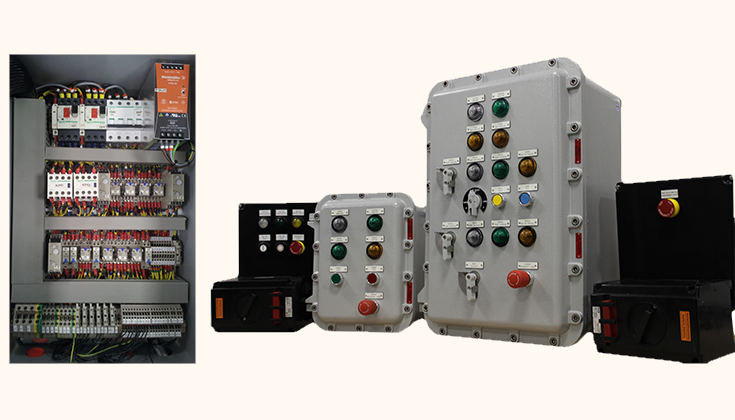 Our speciality is flameproof enclosures (Ex d). 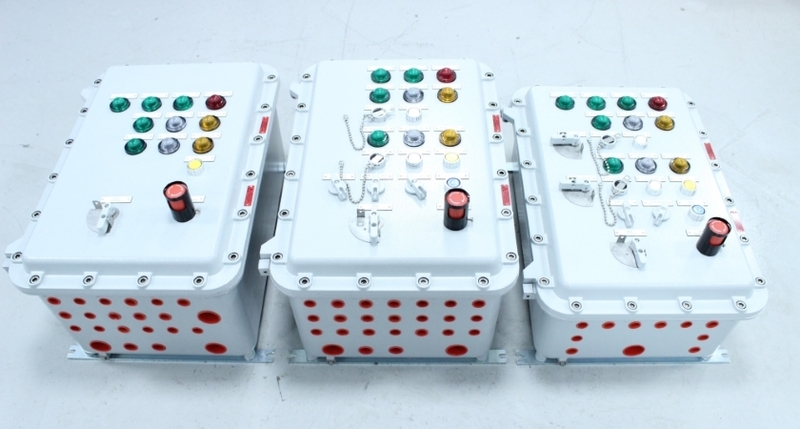 We can supply enclosures manufactured from low magnesium and copper cast alloy, rolled plate steel and stainless steel that can accommodate most electrical and electronic components. 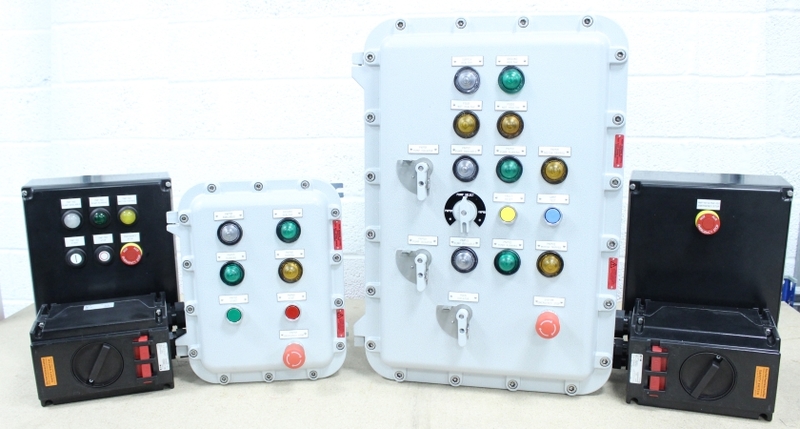 The enclosures are certified to the ATEX Directive 94/EC. 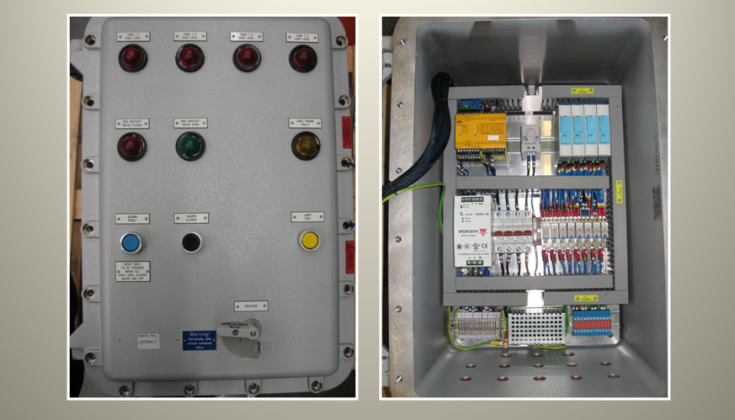 Ex d enclosures can be supplied individually or multiple units assembled on a frame for complete process control systems.